Petit Chou Atlanta – Cabbagetown Bistro on Memorial Drive – French with a Southern twist : An Industrial Chic locale offering coffee, pastries, breakfast, lunch and dinner (Thursdays and Fridays). And now beer, wine and cocktails! Dinner coming soon! Unlike any place you will find. Our food matches our design - made by craftsman, locally sourced and original. A Landmark historic district in the city of Atlanta, Cabbagetown is a mill neighborhood of small bungalows and cottages. 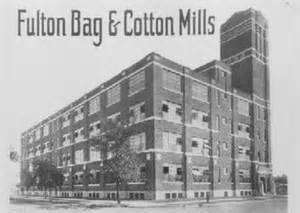 The focal point of the neighborhood is the repurposed Fulton Bag and Cotton Mill fronted by the small commercial area of Carroll Street. 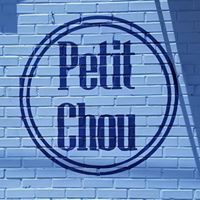 Petit Chou is situated on the outer edge of Cabbagetown along Memorial Drive, a state highway. Back in the 50’s and 60’s most of the historic structures where bulldozed for mid modern commercial development along Memorial Drive. According to the locals, our location was Cole’s and a boarding house. Cole’s was a neighborhood store and grill that served cokes, hot dogs and hamburgers to the patrons of the Fairview Movie Theatre across the street. We are a neighborhood spot. The outside patio, garden area, and bar are designed to encourage different types of interaction. We envision the patio as an intimate location, the bar as place to meet and converse and the garden as a place of reflection. Quality does not need to be expensive or pretentious. Yes, our ingredients are fresh and not frozen. Yes, we source from local suppliers and artisanal providers. Yes, our menu is not the standard fare. But our prices are mid range and we have specials to make Petit Chou an affordable spot. The fare will be interesting and enticing. We intend to inspire loyalty by providing great service and consistently excellent offerings. We don’t need Loyalty cards or apps to bribe our customers, we remember who you are and that you want reasonable prices all of the time. We are often confused. Why can’t a coffee shop also serve outstanding freshly prepared food? Why is it so hard to find healthy sides and salads to complement the main course? Petit Chou will answer those questions and many more. 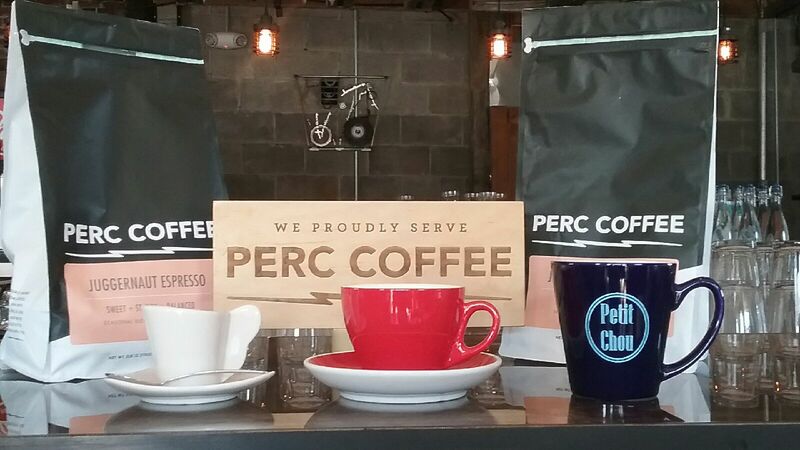 Our coffee is provided by PERC out of Savannah. We tried a number of providers but really liked them the best. We intend to stay open past 9 PM and will be opening early to accommodate folks in the area. We do not have a walk in freezer, a deep fryer or a microwave. This limits what we can offer by choice and may limit quantities, but that’s okay. Your food will be freshly prepared and creative. We want our meals to be balanced and healthy so we will be offering lots of vegetables and fruits. Also, expect and challenge us to integrate them into your entrees.